Breathtaking natural beauty, inspired outdoor living, the finest amenities and community close at hand: These are the hallmarks of life at Carriage Hill. Carriage Hill offers one-of-a-kind homes in a majestic estate setting with all the amenities Mother Nature offers. Nearly all home sites are set among peaceful streams, ponds, expansive green space and/or woodlands. The vision for Carriage Hill became a reality in 2011 with the initial implementation of the Carriage Hill master plan. 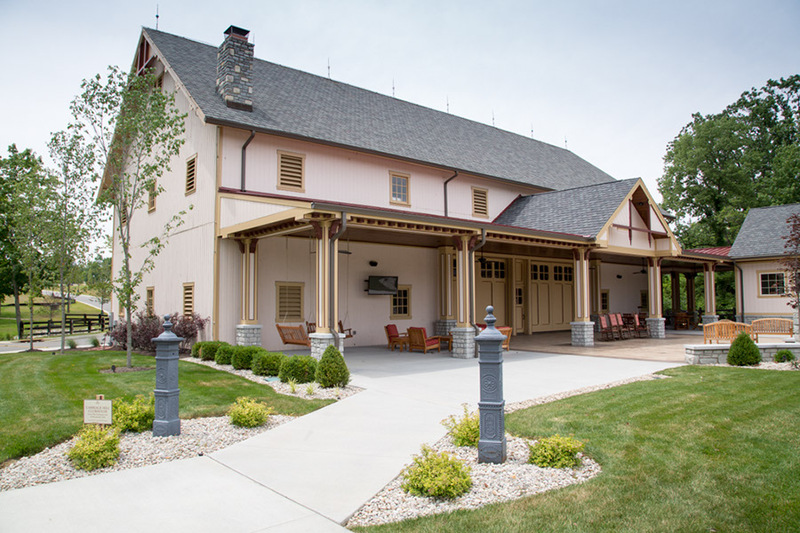 Now, in 2018, Carriage Hill includes 9 neighborhoods with amenities like the historic Carriage Clubhouse and pool facility, the adults-only Terry Gatehouse, private dog park, walking and biking trails, lakes and streams, picnic areas and playgrounds. Our work continues as we prepare for future neighborhoods and our vision of Carriage Hill Commons. We at Carriage Hill are proud of what the community has to offer and are excited for what lies ahead. Carriage Hill is located in Liberty Township, one of Ohio’s most thriving townships, and in the center of the fast-growing Cincinnati-Dayton metroplex. Located minutes off of I-75 and the Butler County Veterans Highway, and with Cincinnati 20 miles to the south and Dayton 25 miles to the north, it’s become a prime destination for homeowners yearning for an easy commute to work. Carriage Hill offers the relaxing environment of estate living while being within minutes of all the growing area has to offer, including first-class parks, amateur and championship golf courses, and several fine country clubs. Retail and entertainment districts such as the new Liberty Center, Union Centre, The Streets of West Chester, Bridgewater Falls, Voice of America, and Cincinnati Premium Outlets all offer a vast variety of fine and casual dining and upscale shopping facilities. Liberty Township is served by the much sought-after Lakota School District – one of the state’s highest performing school systems and rated an “Excellent” district by the Ohio Department of Education 11 years running. Both the school and Liberty Township community offer a tradition of excellence in youth activities as well – its breadth of options include top-notch extracurricular programs in recreational and select sports, the arts and music.